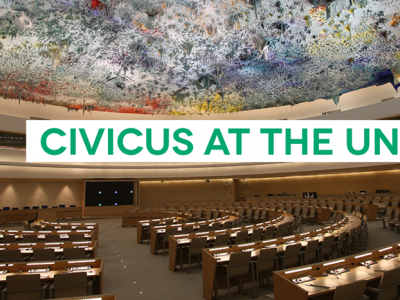 CIVICUS and its partners have made joint UN Universal Periodic Review (UPR) submissions on 6 countries in advance of the 33rd UPR session (April-May 2019). 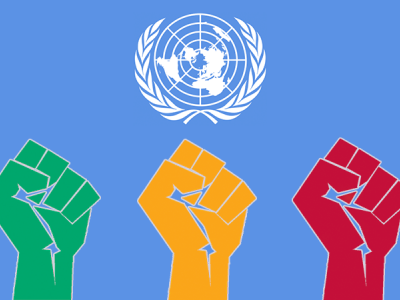 The submissions examine the state of civil society in each country, including the promotion and protection of the rights to freedom of association, assembly and expression and the environment for human rights defenders. 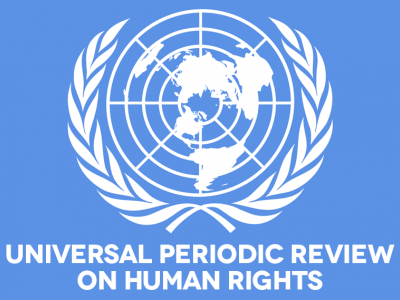 We further provide an assessment of the States’ domestic implementation of civic space recommendations received during the 2nd UPR cycle over 4 years ago and provide a number of targeted follow-up recommendations. Cote d’Ivoire: CIVICUS and the Coalition Ivoirienne des Défenseurs des droits Humains (CIDDH) examine the steps taken by the government of Cote d’Ivoire to address restrictions on civic space. We highlight the promulgation of the law on Human Rights Defenders and the subsequent Resolution passed to ensure implementation of the law. However, we note ongoing restrictions on freedom of expression, the targeting of journalists and bloggers by the authorities, attempts to undermine freedom of association and the tendency to use excessive force to disperse peaceful protests. Democratic Republic of Congo (FR): CIVICUS and Ligue des Droits de la personne dans la région des Grands Lacs (LDGL) analyse the multiple unwarranted restrictions on civic space in the Democratic Republic of Congo (DRC). Authorities have systematically banned protests, in particular protests organised by civil society, social movements and opposition, while security forces have used excessive force against peaceful protesters, leading to hundreds of deaths. Additionally, HRDs and activists are subject to arbitrary arrests and judicial harassment, aimed at preventing them from exercising their democratic and civic rights. These unwarranted restrictions have intensified since the start of the political and security crisis in 2015, precipitated by President Kabila’s attempts to remain in power despite a constitutional two-term limit. Equatorial Guinea: CIVICUS, the Committee Protect Journalists (CPJ), Centro de Estudios e Iniciativas para el Desarrollo (CEID), ONG – Cooperación y Desarrollo and EG Justice examine ongoing restrictions on freedom of association, attacks and intimidation of journalists and bloggers and the general disenabling environment for freedom of expression and independent media agencies. We further discuss threats faced by human rights defenders and the frequent violent repression of peaceful assemblies. Ethiopia: CIVICUS, the Association for Human Rights in Ethiopia (AHRE), the Committee to Protect Journalists (CPJ), DefendDefenders, PEN International, Article 19, the Consortium of Ethiopian Rights Organizations (CERO), and Access Now examine the Government of Ethiopia’s fulfilment of the rights to the freedoms of association, peaceful assembly and expression, and unwarranted restrictions on HRDs since its previous UPR examination in 2014. While the government recently committed to addressing a range of restrictive legislation, alongside releasing large numbers of political prisoners, at the time of writing, the restrictive legal framework remains in place. Acute implementation gaps were found regarding recommendations relating to civic space including the rights to the freedoms of association and peaceful assembly. Nicaragua (ES): CIVICUS and the Nicaraguan Network for Democracy and Local Development Federation (Red Local) address concerns about the violent repression of protests and the criminalisation of protest leaders and demonstrators, particularly of the student and peasant movements, as well as the intensification of the persecution and intimidation suffered by CSOs supporting social movements in Nicaragua. Along with the growing restrictions on freedom of expression that stem from media concentration in government hands and pressures against journalists and independent media covering issues such as corruption, elections and infrastructure or extractive projects, the submission further examines the alarming increase of unwarranted restrictions on the press linked to the coverage of protests and their violent suppression and related human rights violations. Qatar: CIVICUS and the Gulf Centre for Human Rights highlight the continued restrictions on freedom of association and expression in Qatar, which include unwarranted arrests on foreign journalists and confiscation of equipment, and restrictions on online content under the Cybercrime Prevention Law. The authorities in Qatar also continue to restrict the formation of independent civil society organisations committed to the advancement of human rights, and there have been severe and undue limitations to freedoms of assembly resulting in almost no protests in Qatar despite serious human rights violations.